Start the year right with a country getaway as Alfonso Hotel in Tagaytay City, Philippines launches several promos for guests in January and February. All of these deals are exclusively available on the hotel's website. First is the “Free pizza for the month of January” package, which treats guests to a free 12-inch, thin-crust Pizza Margherita if they stay until January 30, 2013. The pizza is courtesy of Il Gallo Nero, the hotel's signature Italian restaurant, and can be claimed from 11 am to 2 pm or 6 pm to 9 pm daily. This deal also includes complimentary breakfast. Meanwhile, there are 2 deals that cover weekends of February. One is the “2k promo”, with a stay period from February 14 to 17; and “Promo”, valid for stays on February 22, 24, 25, and 26. With these deals, travelers can get a Deluxe Room for only PHP2,000 per night, including taxes and other fees, plus free breakfast. To get any of these deals, guests just need to go to http://www.tagaytay.alfonsohotel.net/promos.php and click any of the two promo banners. This will bring them to another page listing all ongoing promotions of the Tagaytay hotel, from which they have to check room availability before they can proceed. If rooms are still available, they now have to proceed to the first step of the reservation process, where they need to select the dates of their stay. After choosing their arrival and departure dates, guests now have to choose the kind of accommodation in Tagaytay they want to book from the list of available rooms. Once they are satisfied with their choice, travelers only have to finalize the booking by clicking the “Reserve Now” button on top. This brings them to the last step—confirming the reservation. To do so, guests only need to fill up an online form and pay a 10% deposit, via a credit card transaction secured by VeriSign and Trustwave. A confirmation email will then be instantly sent to the guests. 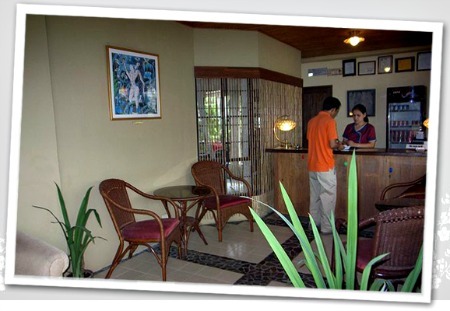 They only need to settle the balance upon arrival at the hotel in Tagaytay. Any modification to the existing reservation is free, as long as it is made at least 4 days before the check-in date. Cancellations are also free, provided they are made 2 days before the check-in date. Promo details may also change without prior notice. Located inside a private subdivision away from Tagaytay's busy center, Alfonso Hotel offers simple yet comfortable accommodation perfect for rejuvenating vacations that won't hurt the budget. Such a holiday is made possible through various amenities and facilities, starting with clean and spacious rooms, and sumptuous Italian meals at Il Gallo Nero. A host of activities at the nearby Alfonso Hotel Farm, such as swimming and horseback riding, are also available to truly complete the country experience. For more information about Alfonso Hotel in Tagaytay City, Philippines visit their site at www.tagaytay.alfonsohotel.net.